MPs' travel expenses have been laid bare, following a two-year battle with the House of Commons authorities. They published a detailed breakdown of figures after a campaign by Lib Dem MP Norman Baker, who said the public ought to know how money was being spent. Scottish MPs claimed the most, Labour MP for Falkirk Eric Joyce topped the list with £44,985 and Orkney's Lib Dem MP Alistair Carmichael claimed £38,750. Overall MPs spent about £2m on driving, £1.5m on trains and £1m on flights. Mr Joyce has previously said his high expenses claim was down to travelling between London and his constituency. He has promised to review the number of meetings he travelled north to attend. But he was among MPs who questioned the accuracy of the latest figures, saying he did not think they were "feasible". Total expenses claims for last year - including travel, the cost of running constituency offices and constituency homes - were £86.6m, up £6m from the previous year. The figures were revealed last October, but until now no breakdown had been provided of the £4.5m spent on travel. 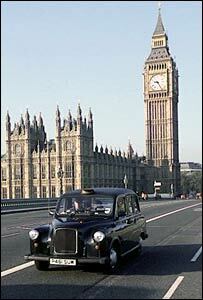 MPs can claim expenses for daily journeys to and from work, such as tube tickets and taxi fares. Blair Gibbs, of campaign group The Taxpayers' Alliance , told the BBC that now the figures were public, MPs should spend less on transport. "This is a good day for taxpayers and long overdue we think," he said. "In principle it's good because it's our money they're spending, but also in practice better openness will hopefully... lead to smaller claims." Lib Dem environment spokesman Chris Huhne spent £3,284 on car mileage - but only £176 on train tickets, even though his Hampshire constituency is commutable by rail. As the rate of payment is 40p per mile, he would have driven 8,210 miles. Mr Huhne told the BBC he owned a more environmentally friendly Toyota Prius, and often travelled by rail but did not claim it back. Labour MP Janet Anderson, who represents the Lancashire constituency of Rossendale and Darwen, made the biggest claim for car mileage at £16,612 - the equivalent of 60,448 miles in one year. Meanwhile Tory MP Mike Penning claimed £7,978 in car mileage, although his Hemel Hempstead constituency is less than 30 miles from London. Some MPs have disputed the figures. At £5,685, Tory MP Richard Bacon has the biggest claim for "third party vehicle mileage", covering taxis, car hire and travel in cars belonging to other people. But he said: "This figure is ludicrous. I have not claimed £5,685 for taxis or anything near this figure. My estimate is that I have spent a few hundred pounds on taxis over the last six years since I was first elected. "Nor have I hired a car at all in the last 12 months. "The figures also state, wrongly, that I have claimed no petrol allowance for mileage, which I certainly have done". Labour's Diane Abbott, who represents the London constituency of Hackney North & Stoke Newington, claimed £2,235 for "third party mileage", according to the figures. Meanwhile, Transport Secretary Douglas Alexander, MP for Paisley & West Renfrewshire, claimed £4,922 for rail travel and £4,592 on flights. Very few MPs made claims for bicycle use, with Jeremy Corbyn (Islington North) and Mary Creagh (Wakefield) requesting most - £230 each. As the payment rate is 20p per mile, they would have cycled 1,150 miles during the year. The Commons authorities were forced to publish a detailed breakdown of the figures, rather than a combined figure, after Mr Baker's campaign. He told the BBC: "It's important that MPs who are professing an interest in the environment can be measured by their own performance. "If MPs for example are saying that climate change is very important, yet are continually taking the plane, that's a matter their constituents ought to know about." The Commons, which lost two appeals, had argued that revealing further details would breach data protection principles.